In my last article for the CloudShare Community Blog, I described step-by-step how to install Visual Studio 2013 Public Preview (VS 2013 Public Preview) in a CloudShare environment. 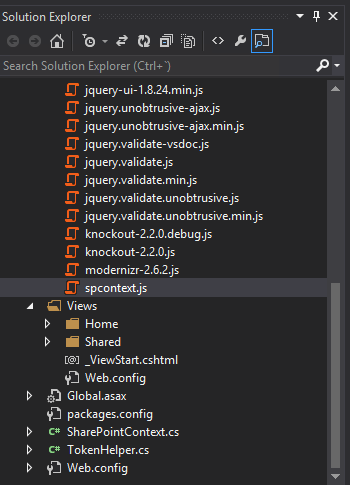 In today’s article I will describe some of the new features coming with the new version of the Office Tools for Visual Studio included in the latest version of the IDE. 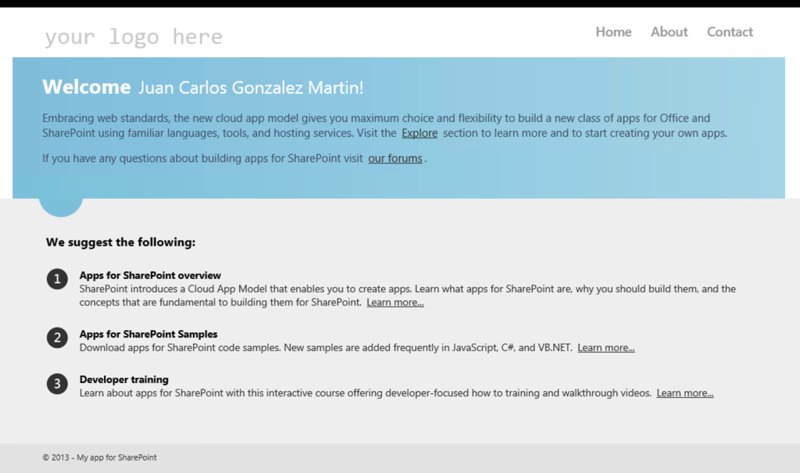 Here’s a review what’s new in terms of SharePoint Apps development. As I mentioned at the beginning of the article, VS 2013 includes out-of-the-box tools so you don’t need to do a separate installation of them. Once you have installed the IDE, you can start creating Apps for SharePoint & Office 2013. Of course, we can create SharePoint WSP solutions. Here we don’t have new goodies in the box. 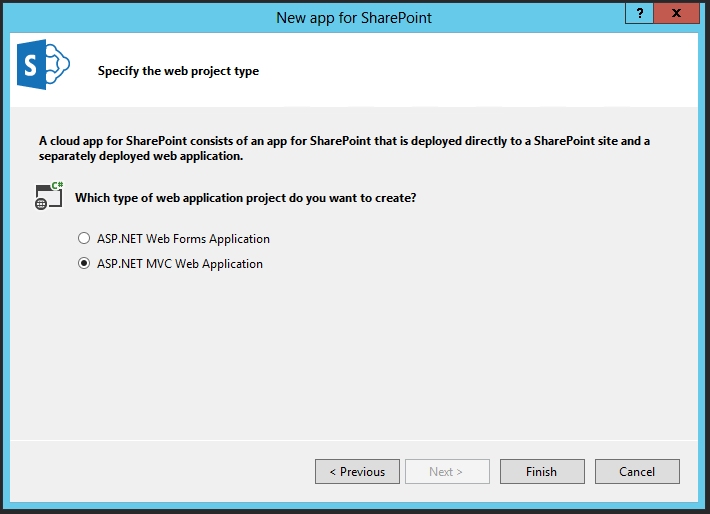 Just create an App for a SharePoint 2013 project, so the creation wizard starts with the “New app for SharePoint” window. As you can see, this window is very similar to the one available in VS 2012, with only one difference: you have to select the hosting option for your App from a radio button instead of a combo box. 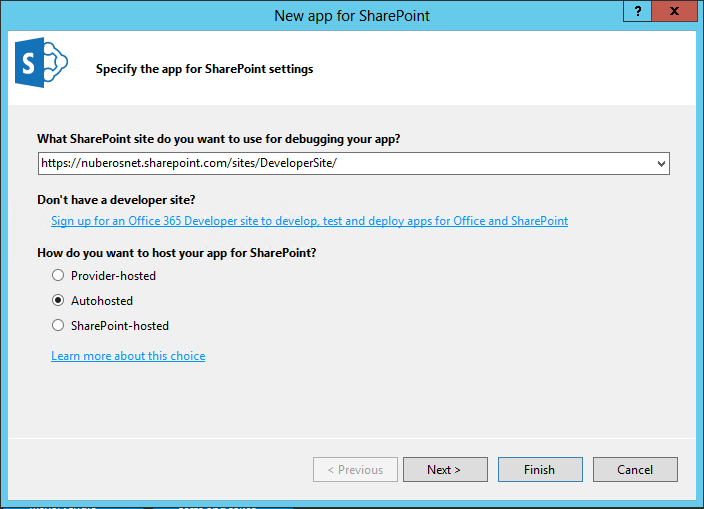 In this case, we are going to create an “Autohosted” App for SharePoint Online in Office 365. Once you press the “Next” button, you will see a new configuration window in the wizard that allows you to select the web project type you want to create. You have two options: ASP.NET Web Forms Application vs. ASP.NET MVC Web Application. 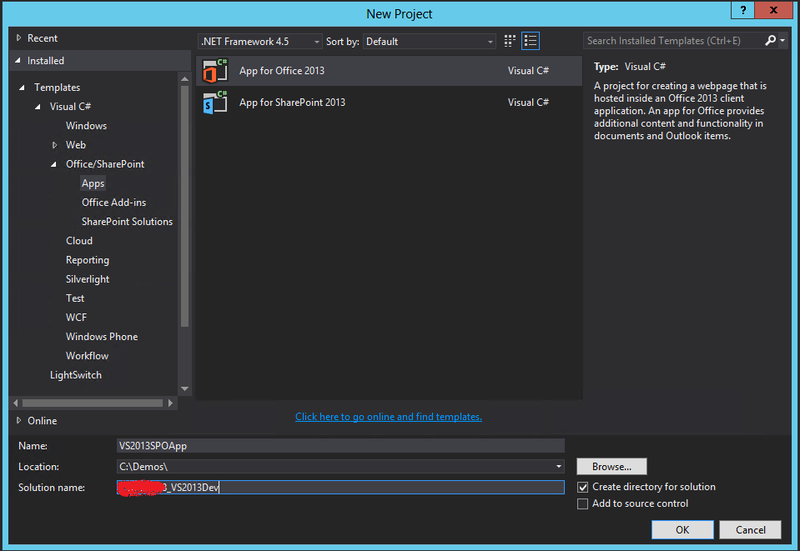 The Office Development Tools for VS 2013 allow by default the creation of ASP.NET MVC Web Applications for SharePoint Apps (Authosted and Provider hosted). 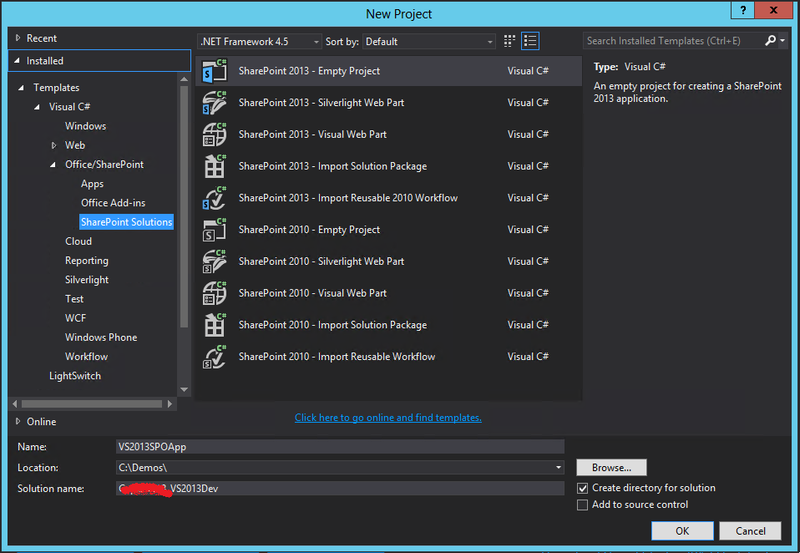 Select the “ASP.NET MVC Web Application” project type and click the “Finish” button. 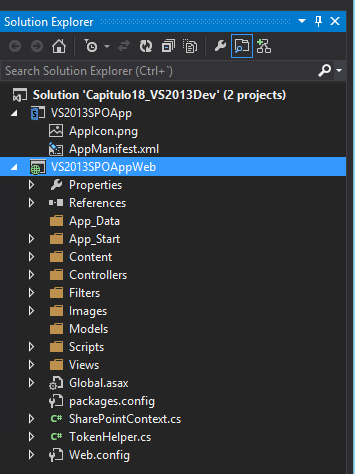 Once VS 2013 creates the solution, you will see two projects in the solution explorer: the SharePoint App project and the ASP.NET MVC One. Finally, in order to try the SharePoint App just press your F5 key, wait until the internet browser opens and you’ll see your first SharePoint App using ASP.NET MVC. And here ends the first article about what’s new in Office Development Tools for SharePoint 2013 Public Preview. Happy CloudSharing.